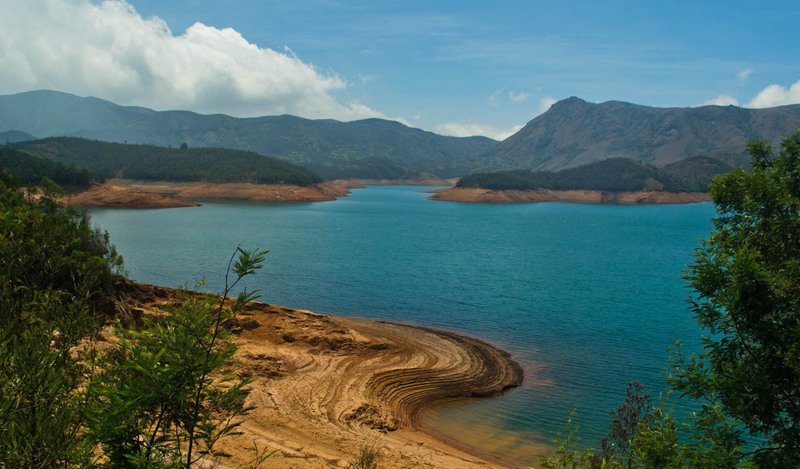 I wake up somewhere near the border of Karnataka – the picturesque road from Karnataka to Goa is an uninterrupted mish-mash of various hues of green and brown. The only thing that stands out is the grey tarmac that my bus speeds on. I get a glimpse of the naval town of Karwar while the bus navigates the ghat section without much difficulty. Surrounded on 3 sides by hills and overlooking a very pretty beach and town, one of the beaches in Karwar gives me a hint of what lies ahead of my 3 day escape to Goa in the monsoon season. An hour later, I reach Panaji. A ramshackle bus ride from the capital city of Panaji takes me to Calangute (where I am put up). 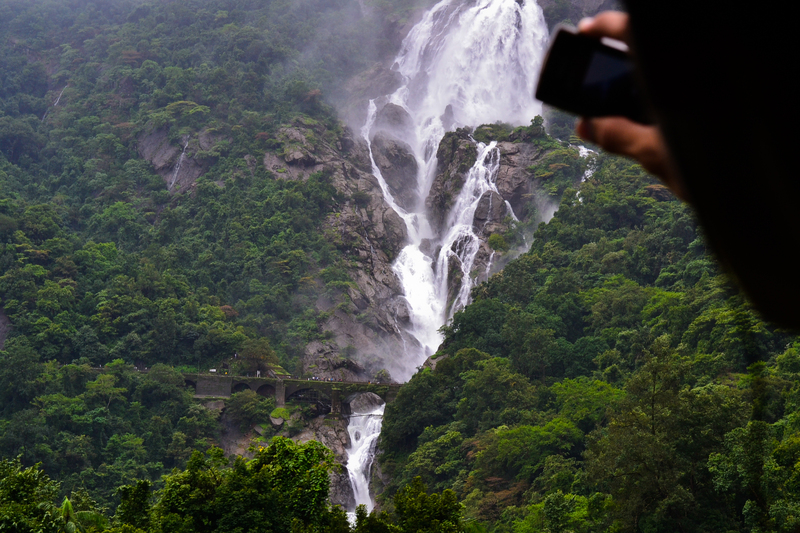 From within the bus, everything looks freshly drenched, but there is still no sign of the unrelenting downpours that the Konkan coast is famous for. The humidity however, is omnipresent and I arrive at my hotel all sweaty. 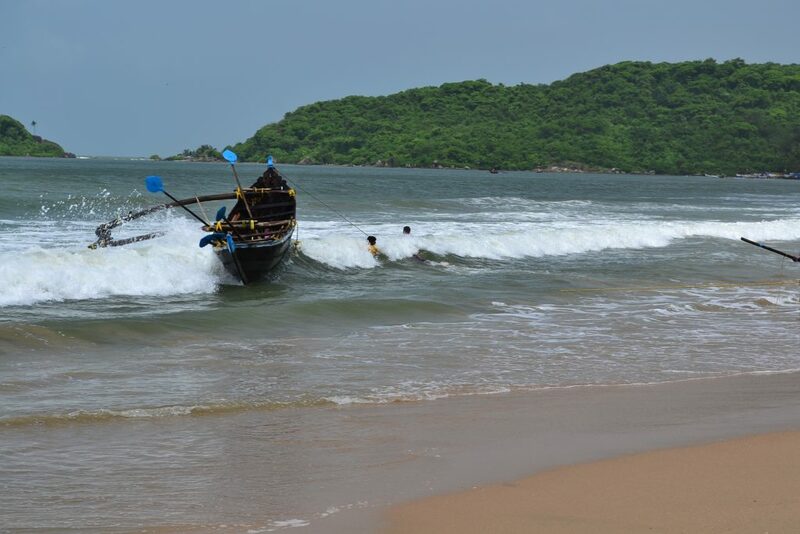 Calangute and Baga, two of the most crowded beach destinations are buzzing only slightly. There are quite a few Indian tourists making the best of the long weekend, but save the occasional ‘firang‘, North Goa seems to wear a desolate look. Gone are the fervent crowds thronging the beach and the main circle. Accommodation rates have dropped to almost half of their peak season rates. Hawkers, touts, vendors and taxi guides are listless, some are desperate for customers. “Hey, you want a bike ?” “Sir, disco ? Sir party ?” we are pestered. We shake our heads and move on. The party circuits and the night clubs are still buzzing on Saturday night but some of the famous ones are shut for the season. Restaurants and pubs are empty and the staff outnumber the guests. Even the beach shacks are mostly gone. Alcohol is still cheap, but the food rates remain the same. Sea food is pricier still and the waiter at a shack tells us that fishermen rarely venture into the sea during the monsoons. 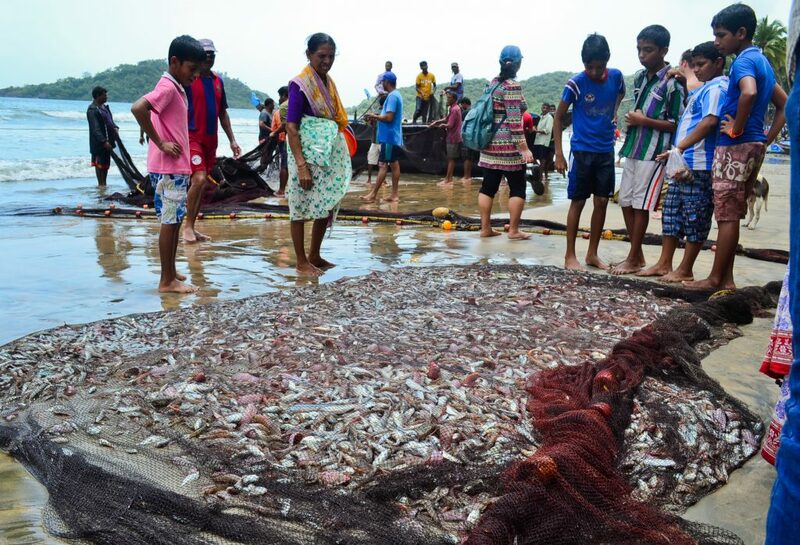 Fish has to be procured from places as far as Karwar sometimes, hence the higher prices even in off-season. “November, December se best time hai sir – saare beaches khule rehte hai (sic)“, remarks the waiter at a shack (Nov-Dec onwards is the best time sir, all the beaches are buzzing with activity). We nod our heads in agreement, we have been there a few summers ago. But this time, it is to savor what Goa has to offer during the monsoons. 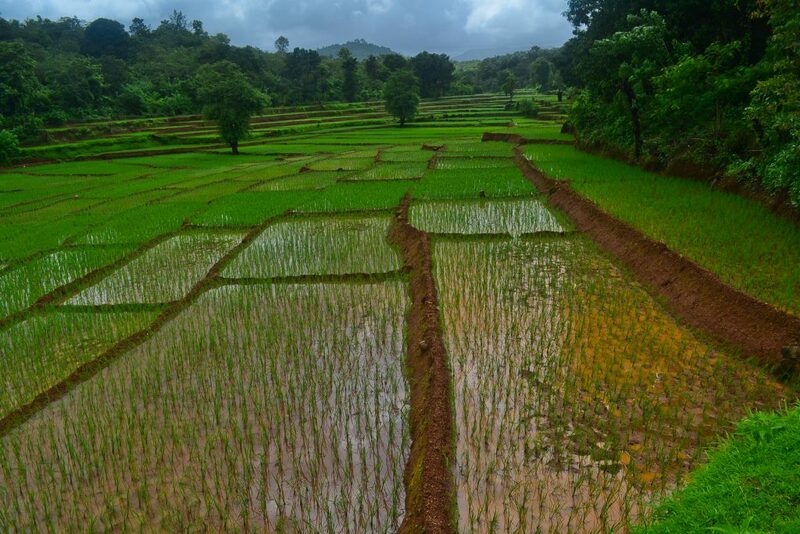 Paddy fields in Goa add to the lush greenery everywhere. Rice plantations demand a lot of water and hence are grown during the monsoons. 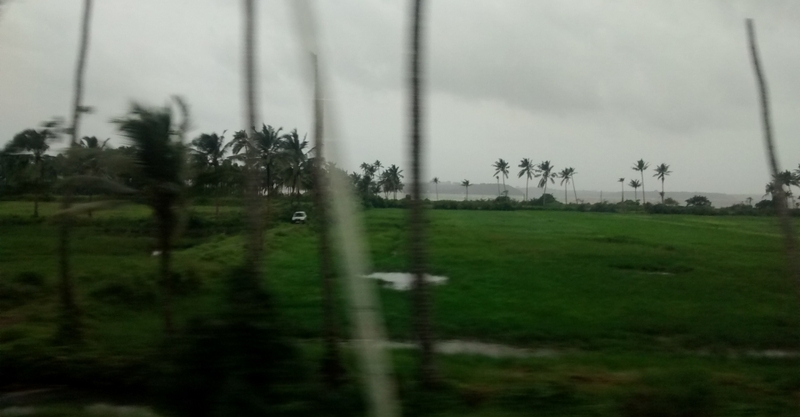 Goa throws up a lot of such vistas – paddy fields, wild grass and palm trees on the fringes of the fields. Treat for sore eyes. One of the days, we make our way to Canacona in South Goa to what has been described as one of the best beaches in Goa – Palolem. The description is right in some ways, some of the palm trees dramatically bend over the beach and lend an idyllic feel. The deserted look worn by the beach only adds to the feel of being in a tropical paradise. There is a sudden drizzle as we step out of the car, but it soon makes way for bright skies. The sea remains angry and foreboding though. Sometimes, the waves reach right up to the edge of the beach as if to demonstrate its prowess. There are a few fisher folk trying to make the best of the sunny day – reeling in their catch for the day. We spend an hour and a half reeling in the sound of the waves, the gentle swaying of the palm and coconut trees and the whole laid back atmosphere that has multiplied manifold. 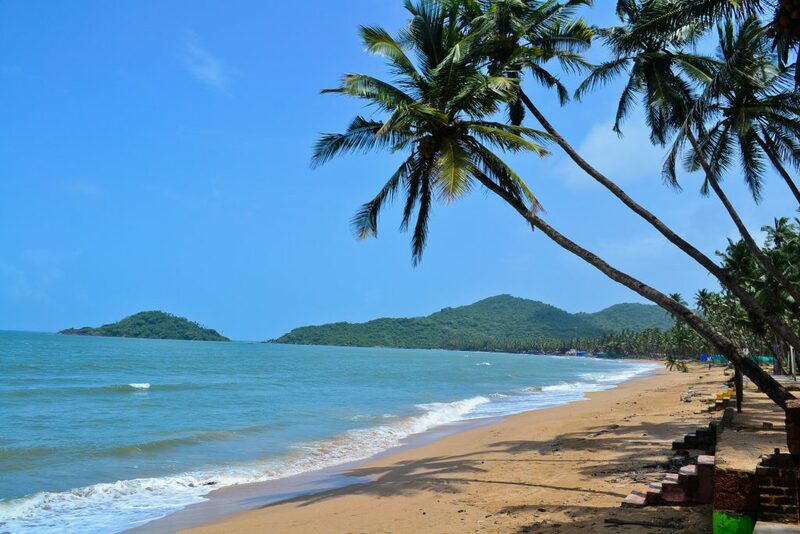 Palolem beach – said to be one of the best beaches in Goa, wears a deserted look. One moment, it is dark and foreboding with grey clouds and an angry looking sea and the next moment, it is sunny and cheerful. 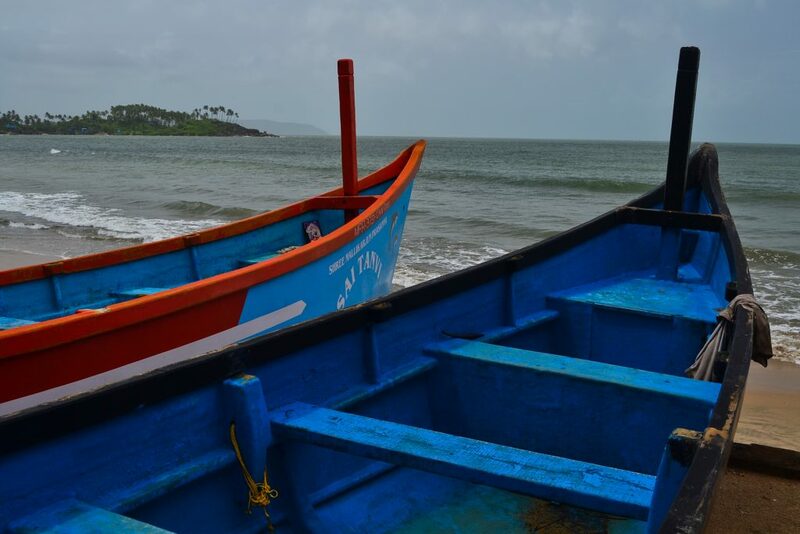 Fishing boats wait patiently in Palolem for the right moment to stretch their legs. One of the rare fishing boats that have gone out to sea. After disgorging their catch, the sailors attempt to control the runaway boat in a feral sea. I don’t know if meagre is the right word for this catch of fish. I was however, able to spot sardines, mackerel, crabs and prawns among the catch. One has however, got to praise the state authorities for maintaining some really good roads. Even in the monsoons, they show no sign of potholes. Even when it rains, it is only a brief shower. On the way back to North Goa, we pass through some empty stretches of road flanked on both sides by green expanses of land. Specks of white – egrets flying – add some relief to the green monochrome. In the distance, we can still spot the odd para-sail over one of the popular beaches. One of the days, for dinner, we order fish curry and it tastes delicious with some plain rice. A shack at Candolim, ‘Sunny Side Up‘ is still open for business and we seem to have company – 2 other tables are occupied. There, the roaring wind blowing in from the sea gets uncomfortably chilly sometimes but the food offers some respite. The restaurants operating away from the beaches, particularly the vegetarian ones seem to do brisk business on account of the Indian weekend crowd. The Goan specialties however seem to taste bland – perhaps this has something to do with the region as well. On the last day of our trip, we take a stroll and I wistfully remember the last time I had been to Goa. A lot has changed – there are new branded apparel outlets on the major roads, swanky restaurants and fast food chains around the corner are open. Bike and car rentals are a dime a dozen and everybody seems to be on the lookout to make a quick buck. All of it reminds me of life back in the city, which is exactly what I want to forget. But in spite of all this, I secretly thank Goa for retaining a lot of its beauty and some of its charm. Even in the monsoons. Or rather, especially in the monsoons. 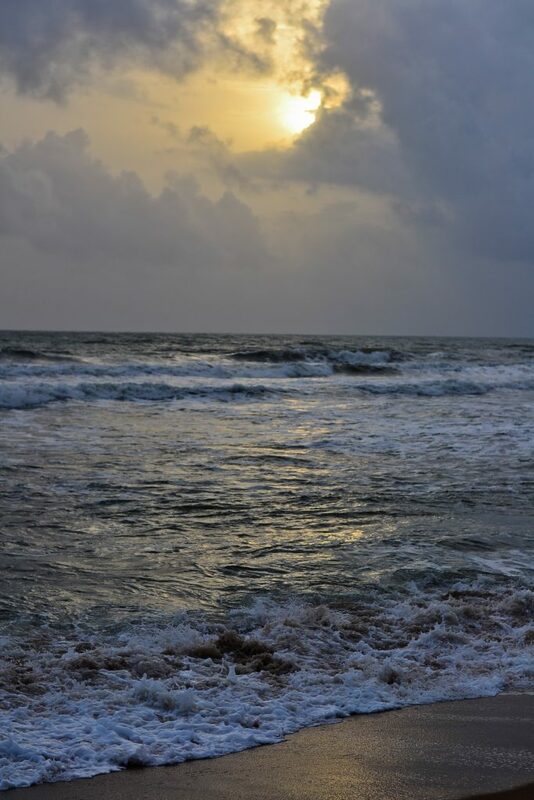 The sun sets on another glorious day at Candolim beach. The crowds will come back again to wade in it’s waters and soak up the sun, the beaches will buzz with activity again … one fine day. Note: We visited Goa in the last week of July’2014 and rented a hatchback (highly recommended in the monsoons) at 1.2K INR a day excluding fuel. 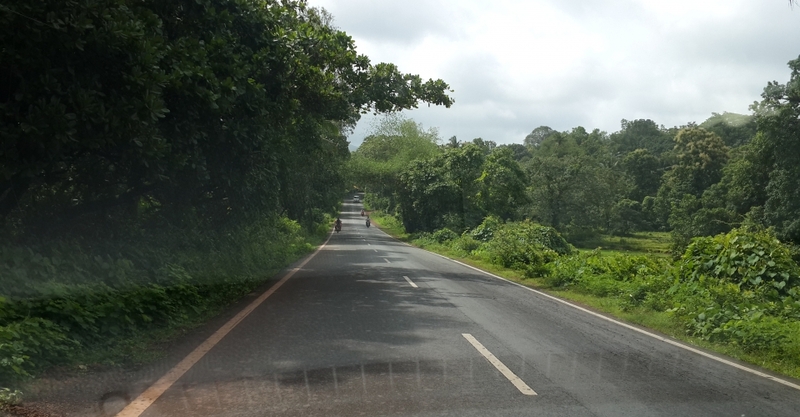 The roads are pretty much good everywhere in Goa, even in the narrow by-lanes. We stuck mostly to south Goa as we had never been there before. There is a lot more to explore and if you have the time, I would suggest ignoring the naysayers and go experience a different side of Goa. if only you had called me as well!